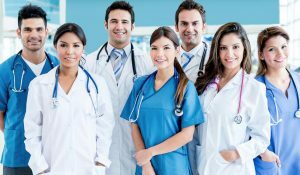 UniTeam Medical is a healthcare employment services company providing a range of integrated recruitment, healthcare employment and management solutions. Since its inception in 2007, UniTeam Medical has built its reputation and developed its market share to make it a leading provider of healthcare service solutions across a diverse range of sectors including Hospitals and Clinics, Military, Government, Oil & Gas, Educational Institutions, Aviation, and Private Industry. Our integrated healthcare employment package to clients is developed through our four service areas of Design, Raise, Train and Sustain. From designing a solution through workforce development and consultancy, to identifying, sourcing, licensing and recruiting a workforce; to training and upskilling the workforce and providing ongoing, sustainable operational management of that workforce, UniTeam Medical offers the complete solution. Our core business is providing a turnkey, cost efficient healthcare workforce management solution that allows the client to focus on their core business. From a single nurse to an entire hospital workforce, we offer a complete outsourced healthcare staffing solution to clients in any industry. 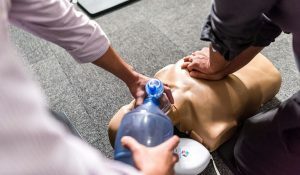 HAAD licenced and internationally accredited CME, life support, and first aid training, delivered at your workplace or at our two training and education centres. Apply for a specific job or just register your interest in working with UniTeam Medical.